"Aiden, oh my gosh are you OK?" I say taking off my helmet. "Yeah I&apos;m fine" he says and I signal for Tyler, Josh and Brendon to back to the room cuz they were all uncomfortable. They take off and I see Aiden staring into my eyes. I just look at him in confusion while he slowly walks towards me. "A-Aiden? W-"before I can finish he smashed his lips on mine. I quickly shove him off. "Aiden, why? "I ask but then try to run away but because of my ski boots I get pulled back by my wrist. "Let go of me!" I shout but he doesn&apos;t let go. "(Y/N), you have to let me explain!" Aiden says pulling me closer as I struggle to get away. "Let go of her!" A familiar voice yells. Before I could tell who it was Aiden had gotten a punch right in the face and he was almost knocked to the floor. As Aiden gets back to reality I see that Brendon was the one who threw the punch. Aiden threw a punch back and before I knew it they had gotten into a fist fight. "Guys, please, stop!" I shout as I try to pull them apart but only to be thrown on the stone ground. I get up and try again. I know I could get hurt but my boyfriend and my best friend were fighting. I know he kissed me and all but he&apos;s still my friend and I cant let him get hurt. I once again, get pushed back down to the ground. I couldn&apos;t give up. "Brendon, please, s-stop!" I shout as those steamy tears burned my eyes. "Brendon, please!" I beg. Brendon pushes Aiden to the ground and walks off. 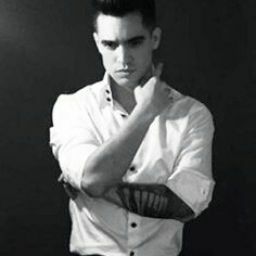 "B-Brendon, w-wait" I say trying to stop him. Aiden gets up and takes off after him but I stop him and push him off. "(Y/N), can you please let me explain" He says while I notice his nose bleeding. "Aiden, you&apos;ve done enough. Brendon clearly saw you kiss me! He probably hates me now! Aiden, that was the love of my life and you just ruined it! I- I cant believe you!" I say storming off. Once again he grabs my wrist but I pull away this time. I get out of the lodge and I walk back to the Heather inn. I just sit at the couches and cry because I didn&apos;t know what to do. I decide to go back to my room but once I get there I hear yelling. "Bren, you have to calm down!" I hear Josh say. "NO! How am I supposed to calm down when he kissed her! What if she wanted that!? What if she planned that!?" I hear Brendon shout and there is a big crash which just makes me cry more. I take off outside and out to the tour bus. I run in and shut the door, hide in my bunk and cry. 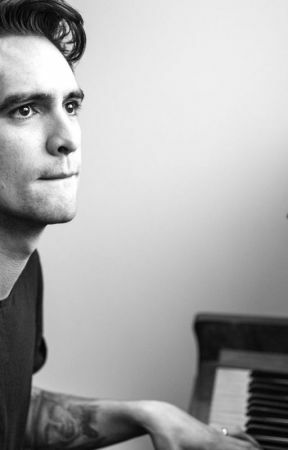 "im gonna give you five minutes to explain" I say and Brendon and I can tell hes thinking of an explanation. "Aiden, tick tick" Brendon says. Aiden sighs and looks up at me, foggy eyed he tries to avoid eye contact with Brendon. "I-I love you (Y/N)"